Professor Associado, Departamento de Matemática, Faculdade de Ciências, Universidade do Porto. Member of Centro de Matemática da Universidade do Porto. My publications on the arxiv. My Author Profile on MathSciNet. My Author Profile on Zentralblatt MATH. E. Franco, P. B. Gothen, A. Oliveira and A. Peón-Nieto, Torsion line bundles and branes on the Hitchin system, arXiv:1802.05237 [math.AG]. O. Garcia-Prada, P. B. Gothen and I. Mundet i Riera, The Hitchin-Kobayashi correspondence, Higgs pairs and surface group representations, arXiv:0909.4487 [math.AG] (v3: 15 Aug 2012, significantly improved). O. García-Prada, P. B. Gothen and V. Muñoz, Betti numbers of the moduli space of rank 3 parabolic Higgs bundles, Memoirs of the American Mathematical Society 187 (2007) no. 879, viii+80 pp. arXiv:math.AG/0411242. M. Aparicio-Arroyo, S. Bradlow, B. Collier, O. Garcia-Prada, P. B. Gothen and A. Oliveira, SO(p,q)-Higgs bundles and higher Teichmüller components, Inventiones Mathematicae (in press). arXiv:1802.08093 [math.AG]. C. Florentino, P. B. Gothen and A. Nozad, Homotopy type of moduli spaces of G-Higgs bundles and reducibility of the nilpotent cone, Bulletin des Sciences Mathématiques, 150 (2019), 84-101. doi:10.1016/j.bulsci.2018.10.002. arXiv: 1805.10081[math.AG]. P. B. Gothen and A. Oliveira, Topological mirror symmetry for parabolic Higgs bundles, Journal of Geometry and Physics, 137 (2019), 7-34. doi:10.1016/j.geomphys.2018.08.020. arXiv:1707.08536 [math.AG]. P. B. Gothen and A. Nozad, Quiver Bundles and Wall Crossing for Chains, Geometriae Dedicata, 199 (2019), 137-146. doi:10.1007/s10711-018-0341-6. arXiv:1709.09581 [math.AG]. M. Aparicio-Arroyo, S. Bradlow, B. Collier, O. Garcia-Prada, P. B. Gothen and A. Oliveira, Exotic components of SO(p,q) surface group representations, and their Higgs bundle avatars, C. R. Acad. Sci. Paris, Ser. I, 356 (2018), 666-673. doi:10.1016/j.crma.2018.04.024. arXiv:1801.08561 [math.AG]. S. B. Bradlow, O. Garcia-Prada, P. B. Gothen and J. Heinloth, Irreducibility of moduli of semistable Chains and applications to U(p,q)-Higgs bundles, Geometry and Physics: Volume 2, A Festschrift in honour of Nigel Hitchin, Oxford University Press, 2018, pp. 455-470. doi:10.1093/oso/9780198802020.003.0018. arXiv:1703.06168 [math.AG]. P. B. Gothen and R. A. Zúñiga-Rojas, Stratifications on the Moduli Space of Higgs Bundles, Portugaliae Mathematica 74 (2017), 127-148. doi:10.4171/PM/1996. arXiv:1511.03985 [math.AG]. P. B. Gothen and A. Nozad, Birationality of moduli spaces of twisted U(p,q)-Higgs bundles, Revista Matemática Complutense 30 (2017), 91-128. doi:10.1007/s13163-016-0207-0. arXiv:1602.02712 [math.AG]. P. B. Gothen, Hitchin Pairs for non-compact real Lie groups, Travaux Mathématiques 24 (2016), 183-200, Special issue based on School GEOQUANT at the ICMAT Madrid, Spain, September 2015. arXiv:1607.08150 [math.AG]. S. B. Bradlow, O. Garcia-Prada and P. B. Gothen, Higgs bundles for the non-compact dual of the special orthogonal group, Geometriae Dedicata 175 (2015), 1-48. doi:10.1007/s10711-014-0026-8. arXiv:1303.1058 [math.AG]. P. B. Gothen, Representations of surface groups and Higgs bundles, Moduli Spaces, pp. 151-178. Brambila-Paz L, Newstead P, Thomas RPW, Garcia-Prada O, editors, London Mathematical Society Lecture Note Series (No. 411), Cambridge University Press 2014. (Lecture notes from my course at the Newton Institute Moduli Spaces Programme, arXiv:1209.0568 [math.AG]). S. B. S. D. Castro, S. Dakhlia and P. B. Gothen, From Singularity Theory to Finiteness of Walrasian Equilibria Mathematical Social Sciences 66 (2013), 169-175. doi:j.mathsocsci.2013.03.002. Preprint version available at SSRN: http://ssrn.com/abstract=1648426. O. Garcia-Prada, P. B. Gothen and I. Mundet i Riera, Higgs bundles and surface group representations in the real symplectic group, Journal of Topology 6 (2013), 64-118. doi: 10.1112/jtopol/jts030. arXiv:0809.0576 [math.AG]. P. B. Gothen and A. Oliveira, The singular fibre of the Hitchin map, Int. Math. Res. Notices 2013 no. 5 (2013), 1079-1121 doi:10.1093/imrn/rns020. arXiv:1012.5541 [math.AG]. S. B. Bradlow, O. Garcia-Prada and P. B. Gothen, Deformations of maximal representations in Sp(4,R), Q. J. Math. 63 (2012), 795-843. doi: 10.1093/qmath/har010. arXiv:0903.5496 [math.AG]. P. B. Gothen, Higgs bundles and the real symplectic group, Proceedings of the XIX International Fall Workshop on Geometry and Physics, AIP Conf. Proc. 1360 (2011), 39-50. doi:10.1063/1.3599126. arXiv:1102.4175 [math.DG]. P. B. Gothen and A. Oliveira, Rank two quadratic pairs and surface group representations , Geometriae Dedicata 161 (2012), 335-375. doi:10.1007/s10711-012-9709-1. arXiv:1106.1766 [math.AG]. I. Biswas, P. B. Gothen and M. Logares, On moduli spaces of Hitchin pairs, Math. Proc. Cambridge Philos. Soc. 151 (2011), 441-457. doi:10.1017/S0305004111000405. arXiv:0912.4615 [math.AG]. S. B. S. D. Castro, S. Dakhlia, and P. B. Gothen, Direct Perturbations of Aggregate Excess Demand, Journal of Mathematical Economics 46 (2010), 562-571. doi:10.1016/j.jmateco.2010.03.008. Preprint version available at SSRN: http://ssrn.com/abstract=1156098. S. B. Bradlow, O. Garcia-Prada and P. B. Gothen, Homotopy   groups of moduli spaces of representations, Topology 47 (2008), 203-224. doi:10.1016/j.top.2007.06.001. arXiv:math.AG/0506444. 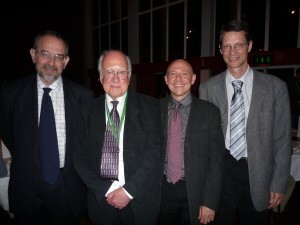 S. B. Bradlow, O. García-Prada, and P. B. Gothen, What is a Higgs bundle?, Notices of the AMS 54, no. 8 (2007), 980-981. S. B. Bradlow, O. Garcia-Prada and P. B. Gothen, Maximal surface group representations in isometry groups of classical Hermitian symmetric spaces, Geometriae Dedicata 122 (2006), 185-213 (Oostende Special Issue). doi:10.1007/s10711-007-9127-y. arXiv:math.AG/0511415. P. B. Gothen and A. D. King, Homological algebra of twisted quiver bundles, J. London Math. Soc. 71 (2005), 85-99. doi:10.1112/S0024610704005952. arXiv:math.AG/0202033. S. B. Bradlow, O. Garcia-Prada and P. B. Gothen, Representations of surface groups in the general linear group, Proceedings of the XII Fall Workshop on Geometry and Physics, Coimbra 2003, Publicaciones de la RSME 7 (2004), 83-94. arXiv:math.AG/0401064. S. B. Bradlow, O. Garcia-Prada and P. B. Gothen, Moduli spaces of holomorphic triples over compact Riemann surfaces, Math. Ann. 328 (2004), 299-351. doi:10.1007/s00208-003-0484-z. arXiv:math.AG/0211428. S. B. Bradlow, O. Garcia-Prada and P. B. Gothen, Surface group representations and U(p,q)-Higgs bundles, J. Diff. Geom. 64 (2003), 111-170. arXiv:math.AG/0211431. P. B. Gothen, Topology of U(2,1) representation spaces, Bull. London Math. Soc. 34 (2002), 729-738. doi:10.1112/S0024609302001364. arXiv:math.AG/0012074. S. B. Bradlow, O. Garcia-Prada and P. B. Gothen, Representations of the fundamental group of a surface in PU(p,q) and holomorphic triples, C. R. Acad. Sci. Paris Sér. I Math. 333 (2001), 347-352. doi:10.1016/S0764-4442(01)02069-9. arXiv:math.AG/0107103. P. B. Gothen, Components of spaces of representations and stable triples, Topology 40 (2001), 823-850. doi:10.1016/S0040-9383(99)00086-5. arXiv:math.AG/9904114. P. B. Gothen, The Betti Numbers of the Moduli Space of Rank 3 Higgs Bundles, International Journal of Mathematics 5 (1994), 861-875. doi:10.1142/S0129167X94000449. Preprint version available in pdf, postscript and dvi formats. The Topology of Higgs Bundle Moduli Spaces, Ph.D. thesis, University of Warwick, (1995). Available in pdf, postscript and dvi formats. A. C. Ferreira and P. B. Gothen, A cohomological approach to n-gerbes with connection, CMUP preprint 2006-13. Surface group representations, Higgs bundles, and holomorphic triples (with S. B. Bradlow and O. García-Prada), preprint, arXiv:math.AG/0206012. Note: this preprint was superseded by this paper and the one following it. Higgs Bundles, slides from my lectures on Higgs bundles at the International School on Geometry and Physics: moduli spaces in geometry, topology and physics of the Spanish Semester on Moduli Spaces (January-June 2008). Geometry of Algebraic Varieties (Principal Investigator). GEAR Network (GEometric structures And Representation varieties). Geometria Algébrica em Portugal - Algebraic Geometry in Portugal. Topological Invariants via Differential Geometry (Principal Investigator). Interactions of Low-Dimensional Topology and Geometry with Mathematical Physics (member of the steering committee). Vector Bundles on Algebraic Curves - an international research group chaired by Peter Newstead (member of the coordinating committee). Kolam, April to July 2018. Algebraic Analysis and Geometry with a view on Higgs bundles and D-modules. Porto, June 3 to 7, 2019. Geometry and Physics of Augmented Bundles, A celebration of Steve Bradlow’s 60th birthday, May 5-7, Allerton Center, Illinois, USA. Hitchin 70, 5-16 September 2016, Aarhus, Oxford and Madrid. Higgs Bundles and Character Varieties, a satellite GEAR workshop and Special Session of the Joint International Meeting of the AMS, EMS and SPM, Porto, June 2015. 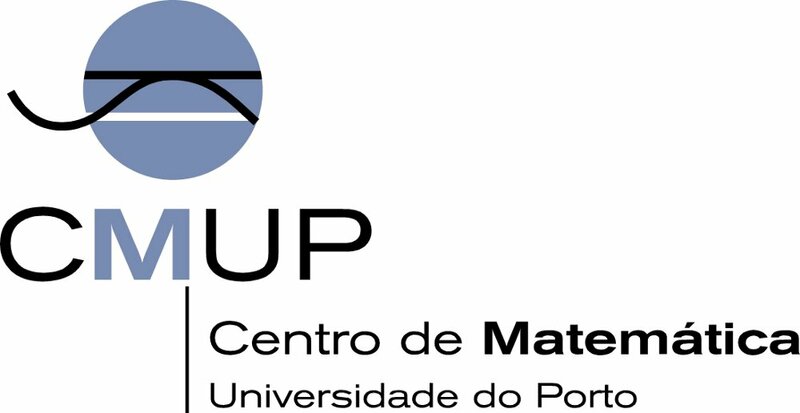 IST Courses on Algebraic Geometry: June 25-28, 2013 - Porto, Portugal. Apontamentos de aulas (versão de 2018). Ilustração do Teorema de Desargues. Construção de uma cónica por cinco pontos em GeoGebra usando o Teorema de Pascal.